Size: 13 11/16 x 10 in. 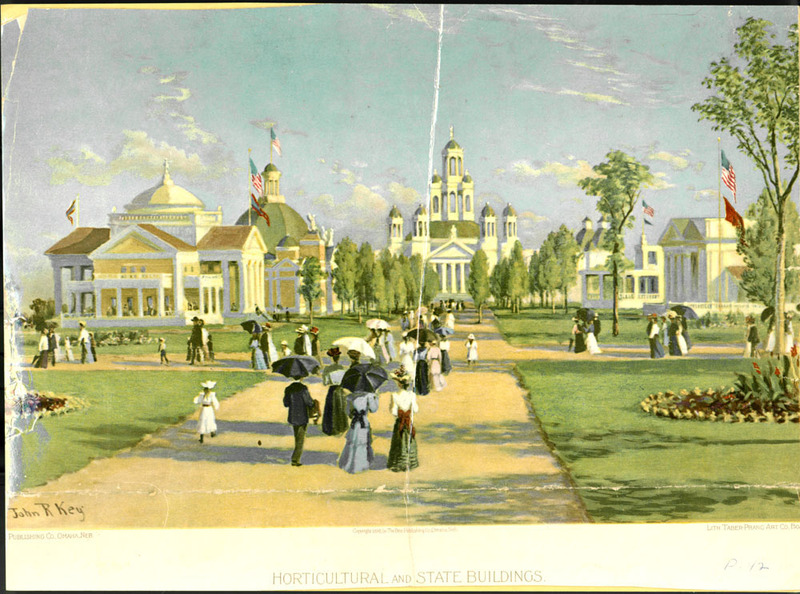 Lithograph of Bluff Tract, looking south toward Illinois State Buildling, Nebraska State Building, Horticultural Building,  and Iowa State Building. Crowd walking. The Bee Publishing Co., Omaha, Neb. 1 sheet previously folded in quarters. Poster.